All Prophets from Adam down to Muhammad are the Messengers of God. Noah, Abraham, Moses and Jesus are the paramounts of the chain with Muhammad as the last and the final. There is no divided nationality or nationalism in the mankind of faith. Satan only divides mankind into nations under nations, and the human progeny of Satan governs those Nation States to Devilize the Divine. The Prophets were sent by God to unify again and again the divided mankind into their One Nation. Abraham came with a major reform of unity. Moses and Jesus followed him. But their followers became two nations, two races, Jewish and Christian, whereas, neither of them were a Jew nor a Christian, but were Upright Muslims of One Nation. Muhammad, a progeny of the mixed blood of Abraham and Hegar, was sent to unify the divided mankind again for good. Though Muhammad was born out of an extreme racist Qureish couple, but Allah has cleaned him first making him a destitute orphan and then thoroughly rearing him by a bonded woman Barakah, like Hegar did to Ishmael, according to Judeo-Christian terminology. Muhammad (saws) did the job precisely and perfectly. He raised a nucleus of DIVINE HUMAN NATION by a Qureishi offshoot himself, Barakah an oppressed black maid, Zaid a victim of Arab barbarity, Bilal, a black slave, Ammar and Ibn Masood, oppressed Yeameni, Suhaib, a Roman slave and Salman of Persia. They were the 35 persons out of 40 who embraced the Message of Muhammad (saws) first. Zaid is possibly is one of the most important personality among the rijal (men of character) around Prophet Muhammad. Mainstream history later rewritten may have downplayed his role and only seen him as simply a slave but historical facts prove that in his early days of mission it was Zaid who accompanied solo with Prophet Muhammad in his most troubling days. Historically speaking, Zayd was possibly the first men to accept the Message of the Messenger along with Barakah, the foster mother of the Prophet and Khadijah, his beloved wife. When he went to Tayef, none of his 'so called great companions' were to be found. When he suffered torture in Tayef again none bleeded for him or with him but Zaid. The Prophet had to recover from his injury by resting for about two weeks in an orchard and when we wanted to come back to Mecca, none of the so called great companions again were to be found to shelter Muhammad. During his meditation to Hera, Zaid and Barakah frequented the most. Every single battle where Prophet could not go, he appointed Zaid as the Leader until Zaid was martyred. The Prophet used to call Ziad "Hibb" meaning Love. Not only he loved him, but also trusted and depended on him. Apart from his own participation, in all other expedition it was Zaid who was made the Commander most by the Prophet. Knowing Prophet's love and preference for Zaid, Ayesha, wife of Prophet said that if Zaid would be alive during the time of the Prophet, he surely would be chosen as his successor. Those who never recovered from the sickness of racism, ignorance (jahiliyya) censored and downplayed the role of Zaid so much so that his role from the life of Prophet Muhammad is almost erased except mentioned here and there. Why? Because their jahiliiya sees Zaid only as a Non-Qureishi slave, despite the fact that the Prophet came to erradicate this kind of racist mentality completely. So much so that even in his last sermon he reminded them that there is no superiority of one sect over another or Arab over Non-Arab or a black man over a white man. Alas! That ideal were embraced only by few. Below is an account of Zaid, may God be pleased with him and help us to understand truth through the account of his life. Who is Zaid Bin Harithah? How he came to Muhammad and lived with him before and after the Message? "From which clan you are?" "How have you reached Makkah?" "I was with my mother on a visit to our relatives, the thugs attacked on the caravan we were with. They robbed our belongings and snatched me away from my mother, then they sold me in a slave market of Makkah." "Who had bought you?" Asked Muhammad. "The nephew of Khadeejah, Hakim Ibn Hizam had purchased me," replied Zaid. Since Zaid Bin Harithah was abducted, his father and the family were in grief. They were continuously searching for him in the villages, markets and places where the slaves were traded. Particularly his father and his uncles were searching for him all around, and finally they reached Makkah on a dark night. They entered Makkah as strangers, knowing none there, then they went to Kaabah and sat by the side of a wall, and started to talk amongst themselves. Zaid's father said: "I have felt a strange touch when we entered Makkah." One of them asked: "What is your strange feeling?" Zaid's father replied: "My soul is telling that, my son is living here in Makkah." Another said: "This feeling is not strange for a father who is searching for his missing beloved son." A third one said: "This feeling may come true. Because there are many slave markets in Makkah, and children are also amongst the slaves. Therefore, the nobles and the rich people come here to purchase their necessary slaves." The fourth one added saying: "It is not unlikely that Zaid Ibn Harithah is among those slaves sold in one of these markets." Right at that time an Arabian from the inhabitants of Makkah was returning from some of the night clubs to his house after passing the night there. He heard the conversation of Zaid's father and his companions, and said: "Good night my cousins"! "Good night our Arabian brother!" They said in reply. Then the Arabian said: "You look like strangers, why have you come to Makkah in this dark night?" Zaid's father said: "We are Arabs from Kalb clan. We have come here in search of a missing boy". Then the Arabian inquired: "What is the name of your boy?" They all said in one voice: "Zaid Ibn Harithah." Then the Arabian cried: "Oh, I have understood, your son Zaid lives with a noble man of the city, he is the most trusted man here. Your son is living with Muhammad, the trusted." "Muhammad! Muhammad!! The trusted man!! !We heard about him earlier while we were at our home, but now, how could we reach him?" “We are his family, his father and uncles,” they replied. “You have done more than justice,” said the guardians of Zaid. And then Zaid was called. When Zaid saw his father and uncles, he embraced them and kissed. After this historic event, Zaid's father and his uncles have been heard saying: “Surely Zaid has got the honour and dignity to be the son of Muhammad, the noblest man of Qureish.” So they left Zaid though with a feeling of losing their son, but of course, with a feeling of pride. Since then Zaid Ibn Harithah was known in Makkah as Zaid Ibn Muhammad. This is how Zaid and Barakah had united as two gems in the house of Muhammad, and both served Muhammad, his wife Khadeejah and their daughters with all of their affection and sincerity. They both were absorbed in the family of Muhammad and Khadeejah in body and soul. They both used to render their utmost services to the family of Muhammad and Khadeejah, and, in return, they received unprecedented exchange of love, affection and warmth, which none dreamt in the then Arab society. When Muhammad started his secluded meditation in the cave of Hira, in a mountain that was two miles away from Makkah, it was Zaid Ibn Harithah who used to carry foods, water and the other necessary provisions to the mountain, and take care of Muhammad in Hira. Barakah was assisting Zaid in this particular Mission as if they were human angels on the earth who served Muhammad to be the Prophet of Allah (SWT) in coming days. 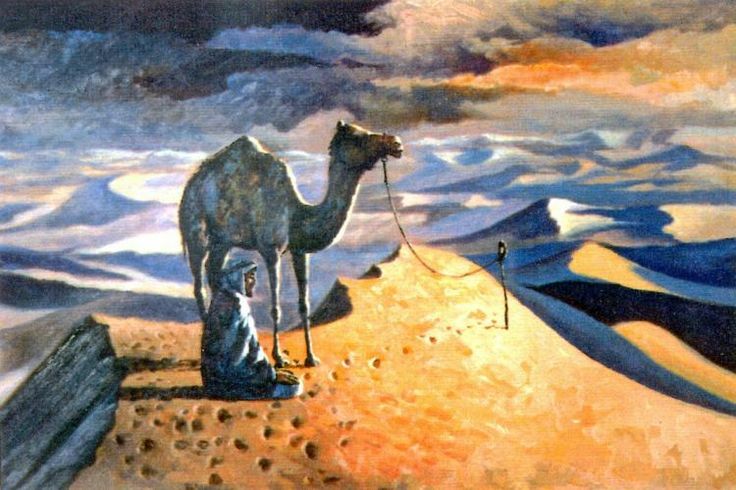 When Muhammad used to prolong his stay in the cave Hira, Zaid had to remain as a guard for Muhammad, who dedicated himself totally heart and soul in worship of Allah (SWT) alone. On the other side Barakah - Umme Aiman, who reared and cared Muhammad since his birth up to the date, she rendered her service again to Khadeejah, Muhammad and their daughters to make them happy, hale and hearty with all of her love and longings. In reciprocation Muhammad and Khadeejah used to treat and behave with Umme Aiman and Zaid as they were the basic components of the family and its existence. Both of them were enjoying full liberty, dignity and rights of free persons. After the years of secluded meditation in the cave of Hira and total dedication to the sublime directions of Allah (SWT), the Creator of the earth and the heavens, Muhammad was blessed with the Message of his Lord, and Gabriel came down with the revelation to beam the universe from all darkness of ignorance and arrogance. The Prophet (SAWS) was blessed by the Message after his long meditation in the cave of Hira. During the period of Muhammad's meditation, Zaid and Barakah were the close observers and witnesses of the gradaul development of Muhammad's (SAWS) changes towards the prophethood. Beside the contribution of the noble lady Khadeejah, the services of Barakah and Zaid were so important as Barakah and Zaid were the frequent visitors of Muhammad, to take care of him in the cave, and provide him with the necessary food and water there. Sometimes Zaid used to stay on the mountain near the cave to guard Muhammad (SAWS). When Muhammad (SAWS) was blessed with the Message of Allah, and he came out frightened, Barakah and Zaid were the first to accept Islam along with Khadeejah. The Prophet (SAWS) started preaching his new Message openly to his own people in Makkah. But the Qureish also had started opposing him and rejecting the Message. They wanted to fight against the spread of the message by all means. During those early days of oppression and persecution by the infidels of Makkah, Barakah and Zaid were equally partners to bear the pains with the Prophet (SAWS) and never been away from the close company of their master. Zaid Ibn Harithah was like the inseparable son of Muhammad (SAWS), while Barakah was like the mother in his house by all standard. The Prophet used to love them with all his feelings and was counting the value of their sincerity for him, for his Message and for his struggle in the spread of his Mission, and strengthening the pillars of the Ultimate Message. This was the Zaid, who came to Muhammad (SAWS) as a boy, and now, he became a full grown man under the shadow of Muhammad's (SAWS) development. Naturally, the Prophet (SAWS) intended to arrange a marriage for Zaid. He chose the daughter of his aunt, Zainab Bint Jahsh. This Zainab was a Qureishi, a Hashemite, the leader of pride and honour in the then Makkah. The Makkans, especially, the Qureish were the clan of extreme vanity and pride during that period of ignorance, over all other people of the surroundings. And above that, Zainab was a famous damsel in Makkah for her beauty. On the other hand, Zaid also was an Arab of original Arabian tribe "Kalb", He was abducted and sold in a slave market, and was presented to Muhammad (SAWS) who freed and adopted him as his son. In "Jahilyyah" that was the only spot in Zaid. For that spot, Zainab could not reconcile her mind to accept Zaid as her natural husband because of her prejudice in her blood and mind. ‘One day the Prophet came to our house and proposed to my brother Abdullah. When I came to know abut it, I was glad, as if, I was flying in joy and happiness thinking that the Prophet (SAWS) proposed for me for himself. "O, the Prophet of Allah, how do you propose me for Zaid? I am a noble girl of Qureish, the offspring of respectful Qureish and the grand daughter of Abdul Muttalib, the custodian of the Holy Kaabah? And Zaid Ibn Harithah? He is none but a slave, sold in the slave market?!!!" The Prophet replied: "Zaid is a free man. I have freed him for the pleasure of Allah (SWT)!!. I adopted him, reared him as my son and made the entire people to witness it. Though Zaid is not from the Qureish, but his grade in character and his grade in kind and heart, counted, he is from among the first few who embraced Islam and declared in advance by Allah (SWT) to be the inhabitant of Jannat!!!" ‘I could not stand in the way of the Messenger of Allah, neither could my brother Abdullah. Then Abdullah went to the Messenger and said, "Obedience is due to you, O, the Prophet of Allah (S)" That was the way I was married to Zaid Ibn Harithah. On the other hand, the blessing of Allah kept on pouring upon Barakah and Zaid. They both were the source of information and intelligence of the Messenger of Allah (SWT). They used to gather the information of the enemies of Allah and His Prophet, and provide it to the Prophet (SAWS) about all the conspiracies of the infidels of Makkah. On many occasions they risked their lives to collect these information and carrying it to the Prophet's (SAWS) secret cell in the house of Al Arquam, where the Prophet and his followers used to gather for training and education on Islam. On a night of grim danger, the infidels of Makkah had surrounded all the ways leading to Dar-Al-Arquam, where the Prophet and his followers had gathered for an important meeting. Khadeejah received an alarming information to be conveyed to the Messenger urgently. Barakah took the risk of her life and conveyed the message to the Prophet (SAWS) in time. The Prophet was moved to see Umme Aiman at that critical moment and was pleased very much. He stood to receive her, and said: "All the blessings be upon you O, Umme-Aiman !! Surely you have a place in the heaven".طُوْبِى لَكِ يَا أمِّي، إنَّ لَكِ بَيْتاً فِي الجَنَّةِ! When Barakah came back accomplishing her mission, the Messenger of Allah looked at his companions, and said, "Whoever of you wants to marry an inhabitant of Al Jannah - the Heaven, he must marry Umme Aiman". Hearing the words of the Prophet (SAWS) Zaid was the first to respond, and "the diamond got its pair." That is how Zaid and Umme Aiman got married. Zaid was in his (late) thirties (or early forties) and Barakah in her (late) fifties (or sixties). Both Khadeejah and Muhammad (SAWS) celebrated the marriage and presented gifts, clothes and scents. This marriage was an extraordinary one which only could be compared with the marriage of Khadeejah and the Prophet (SAWS). They were both in their forties and twenties. Allah (SWT) and His messenger (SAWS) were pleased with that marriage. The blessing of Allah (SWT) showered, and Barakah gave birth to a baby son, whom the Prophet (SAWS) named, Usamah Ibn Zaid, the famous Usamah who was chosen as the commander of the Muslim Army to confront the Roman Army before the death of the last Messenger of Allah (SWT) Muhammad (SAWS). When the Messenger of Allah (SWT) was ordered to leave Makkah for Madinah, the first ranking Muslims migrated to Madinah with the Messenger (SAWS). Zaid was among them. The Prophet (SAWS) left Umme Aiman behind in Makkah alone to look after the affairs of the house of the Prophet. ‘One morning I arranged my belongings in a luggage and left Makkah for Madinah alone, I travelled to Madinah on my feet. I met with strenuous hardship in my journey in the desert. I endured all these with patience and steadfastness in the way of love for Allah (SWT) and His Messenger (SAWS). The hot spell of the desert was killing me, and the sandghust was nearly blinding me, and deleting the lines of the route. On a day of scorching heat, I passed through the desert. My throat went dry, and there was not a drop of water with me, and there was no living being around to save me with a sip of water. Then I looked at the sky with prayer to Allah, and whispered: "I am alone, but You are with me!". I suddenly felt my feet are wet, I found a small spring of water had sprung, and the water started flowing. I drunk and washed my hands and face, filled my container, then went up to a hillock for a rest, and again I started my expedition. I continued my journey in this way till I reached Madinah. My feet were swollen and eyes were nearly blind, because the sore of dust and sand. When Usamah was born from Zaid and Barakah, the prophet used to love him very much, as if he was his brother. He used to play with Usamah, kiss him and feed him with his own hands. Entire Muslim community of Madinah knew the position of Barakah and Zaid and their son Usamah in the heart of Prophet (SAWS). So, whenever they saw the prophet (SAWS) feeding Usamah, playing and laughing with him, they would say "Surely he is the beloved, the son of the beloveds." When the root of Islam took strength, the number of the Muslims increased there, the Muslim Army started winning the surrounding areas to spread the message of Islam. Invariably, whenever, the Prophet (SAWS) sent a contingent of his army for any assault, to spread Islam, he made Zaid its commander. And Zaid was always victorious in his expeditions, seemingly his leadership was synonymous of success and victory in wars. The last Messenger (SAWS) of Allah (SWT) had sent a message of Islam to the ruler of Busra in Syria, and Harith Ibn Umair was the envoy. The said ruler killed Harith, and uttered bad words about Islam and the Prophet (SAWS). The Messenger of Allah dispatched an army to punish the despot, and annex Busra. Zaid Ibn Harithah was made its first commander. But the Messenger (SAWS) made two other deputy commanders, besides Zaid to succeed him. This was an unprecedented act of the Messenger (SAWS). He had never before made more than one commander for any expedition. This made Zaid convinced that Allah (SWT) must have hinted His messenger that something unusual might happen this time. That may be his last journey to eternity. One morning, he entered to his wife Barakah, Umme Aiman or Umme Usamah. Such were their last conversation. “What’s new in it, O Zaid? The Messenger (SAWS) of Allah sent you many times like this, and you came victorious. This time too, the success will be yours, by the help of Allah (SWT). May Allah (SWT) protect you !! !” Said Barakah. “But this time I sense something strange.” Said Zaid. “What is that thing you sense Zaid? You are the blessed soldier of Allah (SWT) and the beloved of the kind Prophet (SAWS)” inquired Barakah. “What do you apprehend O Zaid?” again inquired Barakah. Accordingly Zaid set forth for the assigned destination, and reached there. On the arrival at the battle ground Zaid found the number of the enemy army many more fold than expected. They were only five thousand, while the enemy were above one hundred thousand. But Zaid, the commander of the army of Allah (SWT) sent by his Messenger (SWS) on His revelation, fought the grim battle unhesitantly with unparalleled bravery and valour. “O the Muslims, behold and listen, Zaid Ibn Haritha held the flag, then fought till he fell martyred. After him Jaafar took the flag. He fought till he too was martyred, then Abdullah Ibn Rawaha took the command and fought till he too fell martyred. I have seen them being carried to the Heaven on golden coaches !!”. This was the battle of Mouta, an acid test for the real believers. Muhammad (SAWS) was sent as the last and the final Messenger. He was meant for perfection of mankind. He perfected the Religion of Allah, Al Islam. As a mortal being, the Messenger of Allah was due to leave after the completion of his Mission. He was born as other human being, born. He was born out of a couple. Abdullah and Aminah. They died in his infancy. There was 99.9% possibility, if his parents were alive till his prophethood, they would have been the fatalist enemy of him and his Mission, like other members of Bani Hashem, Qureish and Makkans, as the father of Abraham and his family banished him from his country. Allah (SWT), the All Knowing, separated Muhammad from his infidel parents in childhood, and planned to bring him up in a freer state, as an orphan free from Qureish and Arabian prejudices. So, the Almighty sent His blessings in Barakah, which also means blessing, to bring up Muhammad for His last and the final Message. Muhammad was due to leave this world after completion of his Message, so he was naturally hinted by his Master to test his followers, and leave examples of perfect followers of his Mission. The battle of Mouta was the testing ground. So, he made three commanders of his testing battle, Zaid Ibn Harithah, Jaafar Ibn Abi Talib and Abdullah Ibn Rawaha, to be followed by others as examples. Zaid rated first, while Jaafar and Abdullah followed him. After that the remaining soldiers fled away under the leadership of Kahlid Ibn Al-Walid with their lives. They were not supposed to do that at all. Islam teaches its army to fight for the truth, either to become victorious or to be martyred. Not to flee away with life. Nobody can escape death even in the bedroom. So, a believer prefers to die in the battle than to die in his bed! Zaid testified himself to be the diamond nosed precision of Islamic warrior, while Jaafar and Abdullah followed the suit. Khalid and his followers reached Madinah with their lives which was unknown to the followers of Muhammad (SAWS) in Madinah. So, they were named and termed as “Furrar” the fleers. They were not accepted by the Muslims in Madinah with honour. But, it is said, that no one used to reciprocate their salams with greetings. Rather the Muslims threw sands on them terming them as “Furrars” the fleers. All the detail references of historical value are meticulously preserved in the Bengali version of the Book and the references are to be made available upon request. Muhammad (saws) raised a nucleus of DIVINE HUMAN NATION by a Qureishi offshoot himself, Barakah an oppressed black maid, Zaid a victim of Arab barbarity, Bilal, a black slave, Ammar and Ibn Masood, oppressed Yeameni, Suhaib, a Roman slave and Salman of Persia. They were the 35 persons out of 40 who embraced the Message of Muhammad (saws) first.